DUBLIN, Ireland - Dublin South Central Gardai launched the inaugural Dublin South Central Garda Youth Awards on Friday. The Garda Youth Awards were initiated in 1995 in West Cork, where the local Gardai decided to recognise the good work carried out by local youthin the area. 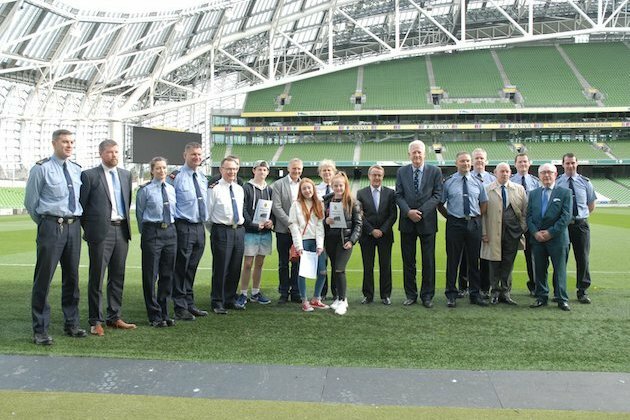 This is the first year that the Dublin South Central Gardai, with the support of Aviva Insurance and the Aviva Stadium, will be celebrating the work carried out by local youths throughout the communities of the Dublin South Central Division. The awards are aimed at acknowledging the volunteering activities of young people living in Dublin South /central Division between the ages of 13 years and 21 years. They also acknowledge the endeavours of young people who have faced and overcome challenges in their lives. Awards will be considered for nominated young people who have made a positive contribution to make their communities a better place to live. The Dublin South Central Garda Division covers Pearse Street, Kevin Street, Kilmainham, Irishtown and Donnybrook Garda Stations. Completed application forms can be sent to: Garda Youth Awards, Pearse Street Garda Station, Dublin 2. Closing date for applications is Friday 16 November 2018.